ClusterControl 1.7.1 introduced a new feature which allows you to backup your ClusterControl server and restore it (together with metadata about your managed databases) onto another server. It backs up the ClusterControl application as well as all its configuration data. Migrating ClusterControl to a new server used to be a pain, but not any more. This blog post walks you through this new feature. We will migrate ClusterControl from one server to another, preserving all the configurations and settings. We will also show you how to transfer the management of a cluster from one ClusterControl instance to another. 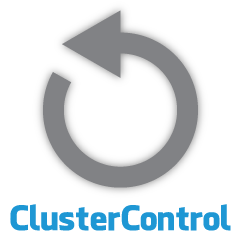 ClusterControl CLI (s9s) is a command line interface tool to interact, control and manage database clusters using the ClusterControl Platform. Starting from version 1.4.1, the installer script will automatically install this package on the ClusterControl node. --save-controller Saves the state of the controller into a tarball. --save-cluster-info Saves the information the controller has about one cluster. --restore-cluster-info Restores the information the controller has about a cluster from a previously created archive file. This blog post will cover example use cases on how to utilize those options. At the moment, they are in release candidate stage and only available via ClusterControl CLI tool. In the output, you may notice the job found is N + 1 cluster, for example "Found 3 cluster(s) to save" even though we only have two database clusters. This includes cluster ID 0, which carries special meaning in ClusterControl as the global initialized cluster. However, it does not belong to CmonCluster component, which is the database cluster under ClusterControl management. Paste the respective rpc_key value in the text field and click Save. Repeat for the next cluster. Wait for a moment and the cluster list should be refreshed automatically. ** Replace <password> with identical cmon MySQL password as in mysql_password value inside /etc/cmon.cnf. 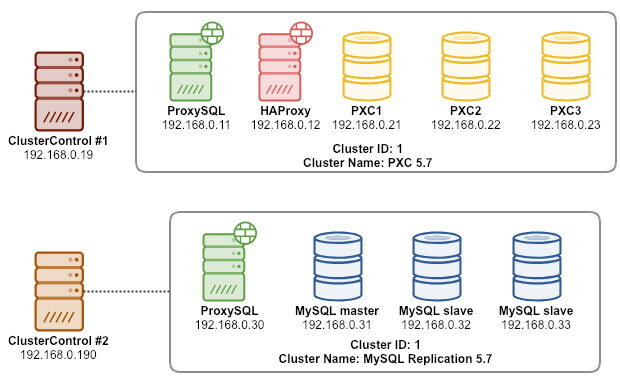 Repeat the same step on the second cluster, MySQL replication but only execute it once on the master node. It's worth to mention that by default, ClusterControl will disable the cluster automatic recovery (as you can see the red icon next to the word 'Cluster') to avoid race condition with another ClusterControl instance. It's recommended to enable this feature (by clicking the icon to green) once the old server has been decommissioned. Our migration is now completed. All the configurations and settings from the old server are preserved and transferred to the new server. This is about backing up cluster metadata and information so we can transfer it to another ClusterControl server, also known as partial backup. Otherwise, we have to perform "Import Existing Server/Cluster" to re-import them into the new ClusterControl which means you would lose the monitoring data from the old server. If you have load balancers or asynchronous slave instances, this would have to be imported once the cluster is imported, one node at a time. So it is a bit hassle if you have a complete set of production setup. If you look at the job logs closely, you would notice the job was trying to export all the related information and metadata for cluster ID 2. The output is stored as a compressed file and located under path that we have specified under using --backup-directory flag. If this flag is ignored, ClusterControl will save the output to the default backup directory which is the home directory of the SSH user, under $HOME/backups. If you look at the job messages closely, you can see that ClusterControl automatically re-assigns cluster ID to 1 on this new instance (it was cluster ID 2 on the old instance). Paste the respective rpc_key value in the text field and click Save. Wait for a moment and the cluster list should be refreshed automatically. ** Replace <password> with identical cmon MySQL password as in mysql_password value inside /etc/cmon.cnf. Our migration exercise is now complete. It's now possible to perform full and partial backup of your ClusterControl instances and the clusters they manage, allowing you to move them freely between hosts with little efforts. Suggestions and feedback are welcome. What if you could deploy a 3-node streaming replication setup in one command? Or orchestrate a master failover with reslaving of nodes in one command? Welcome to ClusterControl’s command line interface to manage your PostgreSQL setups. 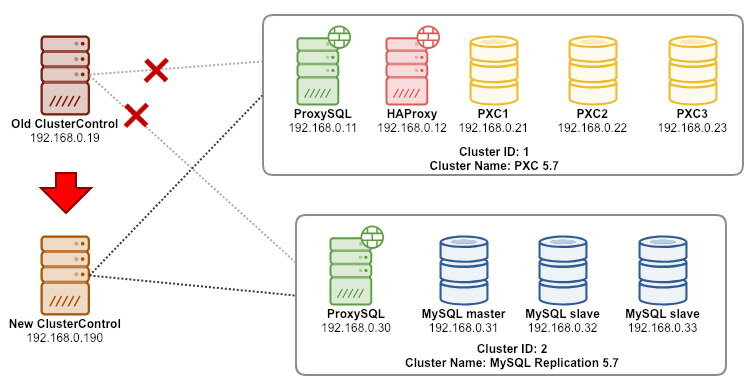 This blog post shows you how to manage your PostgreSQL streaming replication cluster using s9s, the ClusterControl CLI.